With so many more people riding bikes and bike advocacy groups doing better than ever, one might expect the per-capita share of bike accidents to bike riders to be on the downswing. This would be true ideally even if the overall number of bike crashes was on the rise. This would make sense with there being so many new bike riders on the streets of Boston, Cambridge, and the surrounding areas. 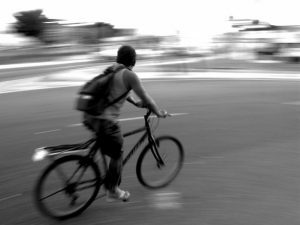 What Makes Boston Bicycle Injury Cases Challenging? The growing number of cyclists in Boston has been great for the environment, for personal health and for the city’s culture. The U.S. Census Bureau reported that of the 318,000 employees in Boston, 1.7 percent biked to work. That’s a 70 percent increase from the number who did so in 2000. That doesn’t include the number who have picked up the activity for recreation or those who do so as a way to get to and from classes. Our Boston bike attorneys are thrilled at the traction the sport has gotten in recent years. But we also recognize it has also coincided with an uptick of bicycle accidents.